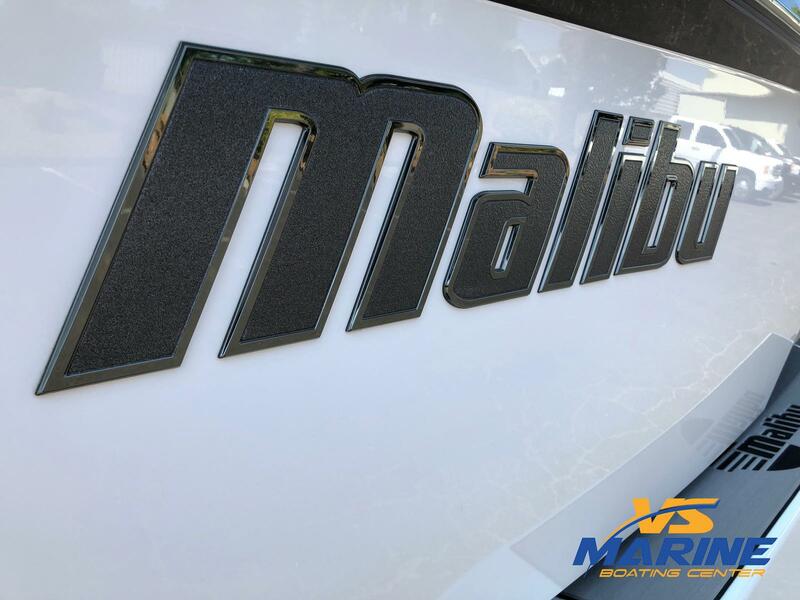 Tue-Sat 8:00 a.m. 5:00 p.m. 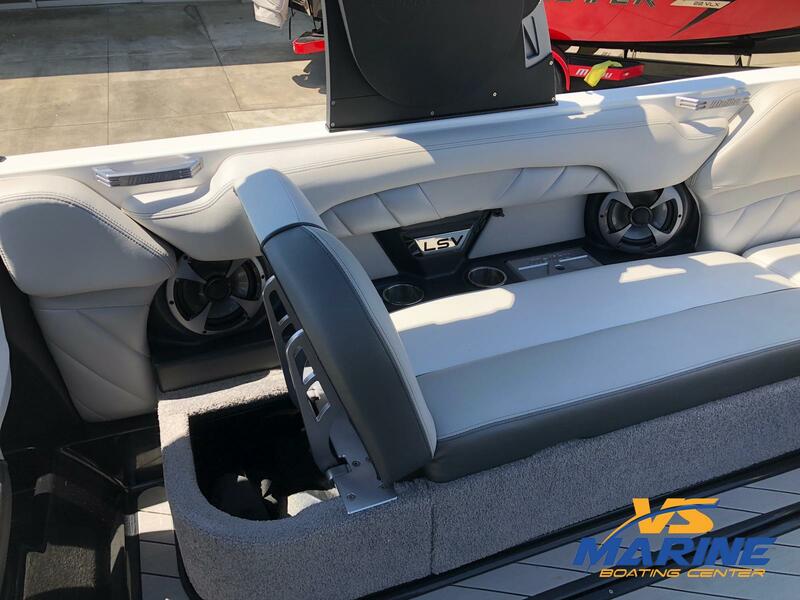 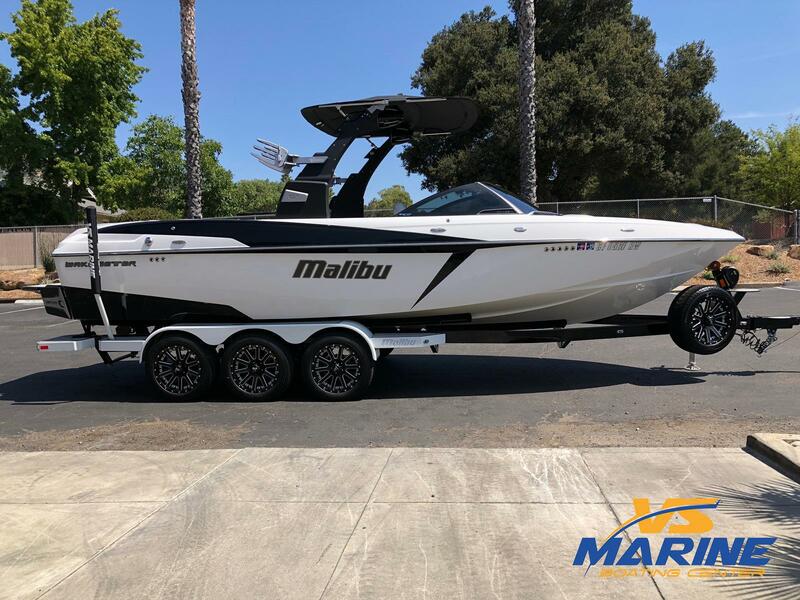 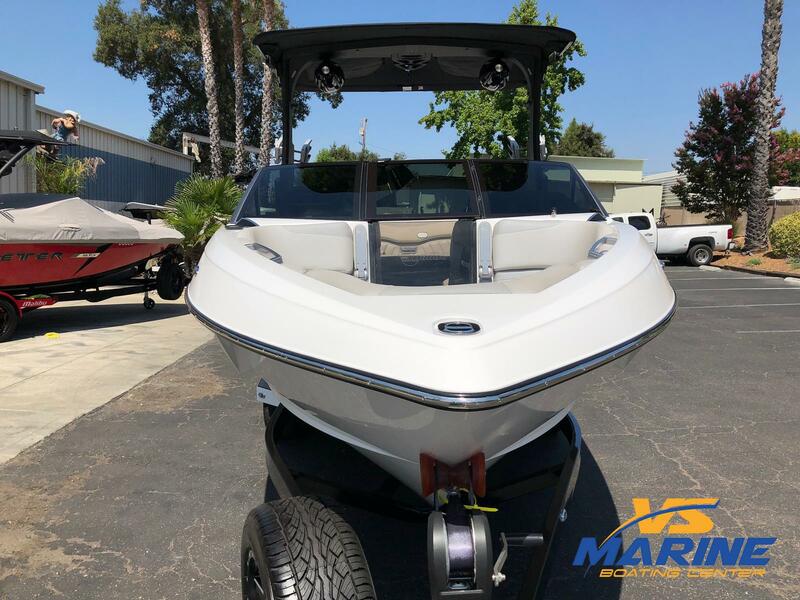 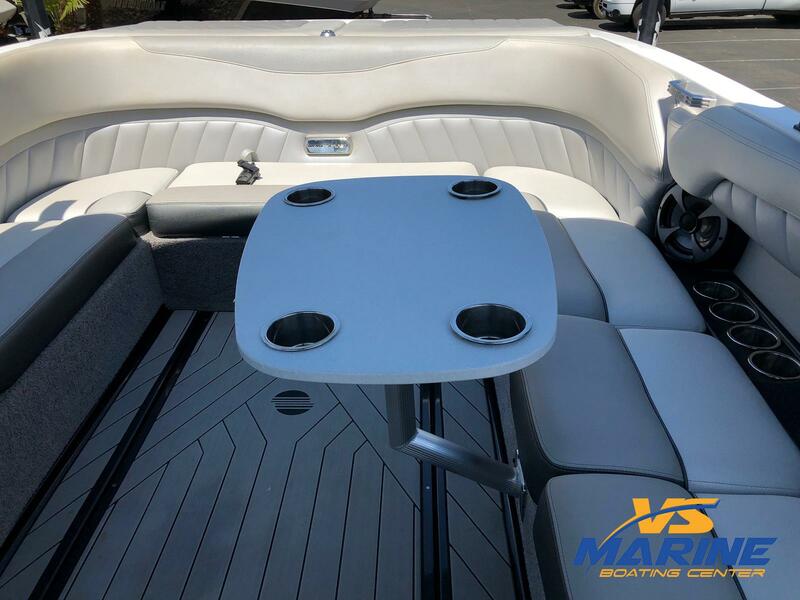 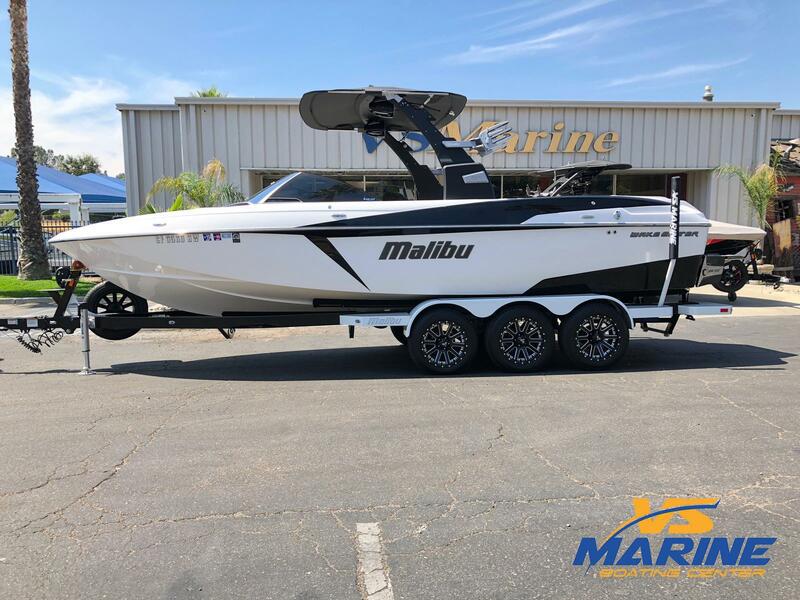 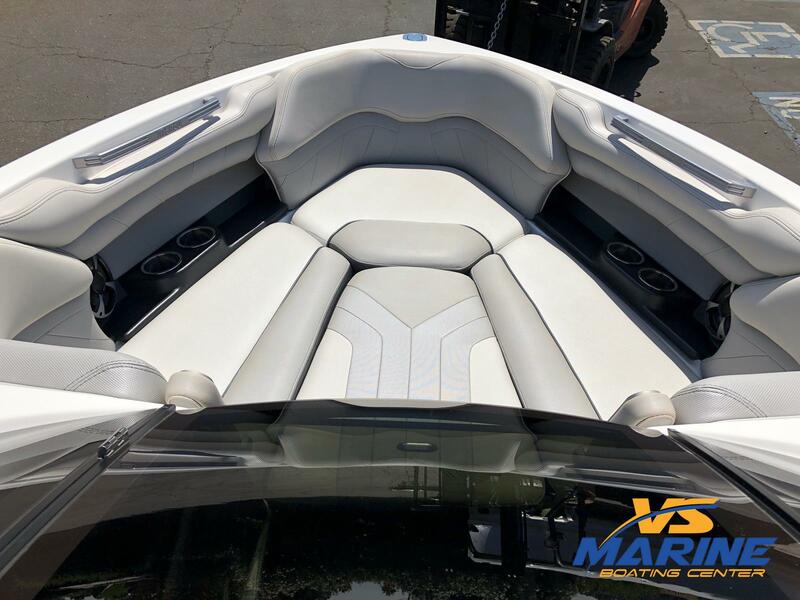 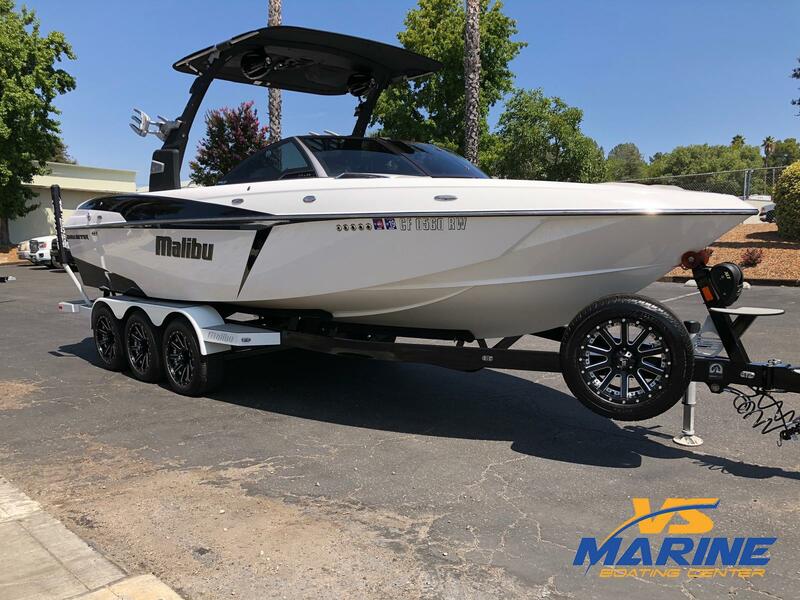 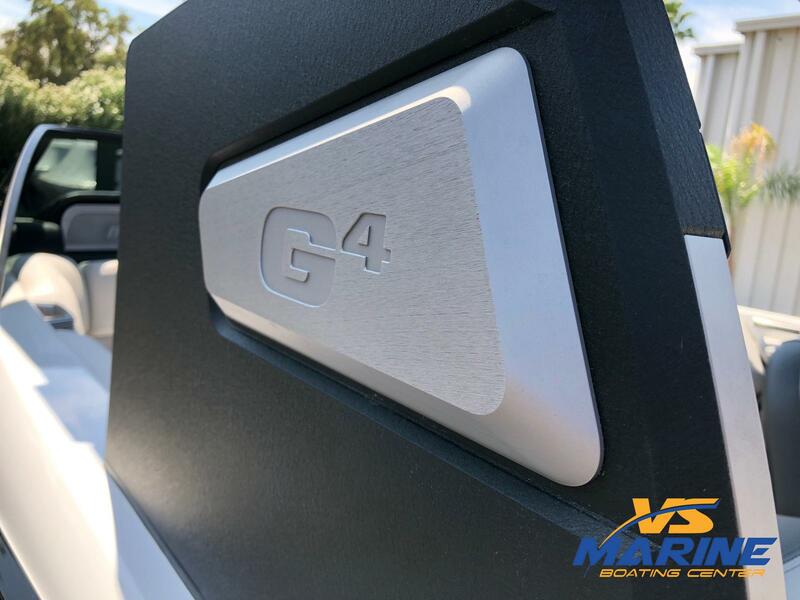 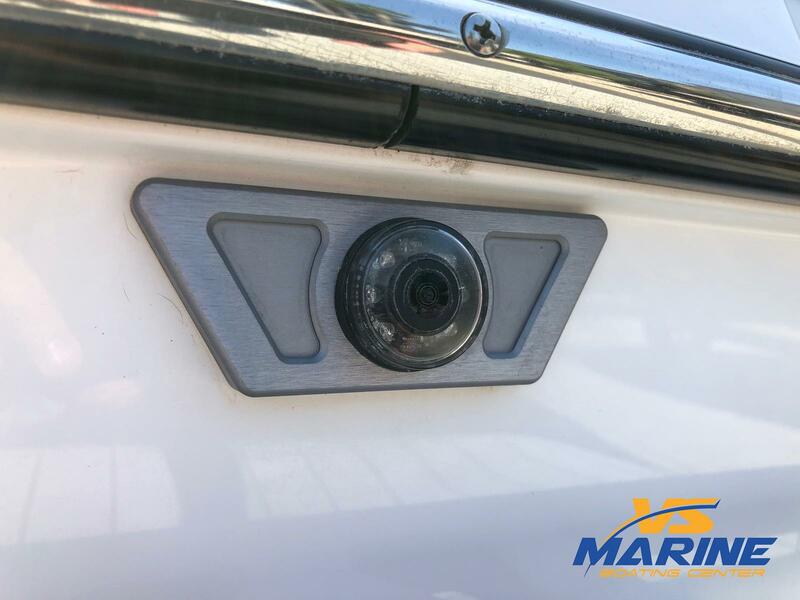 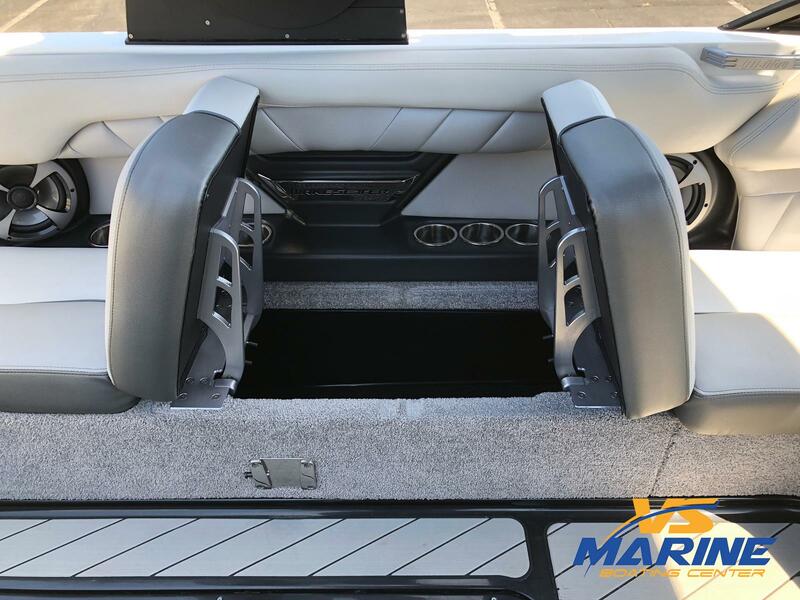 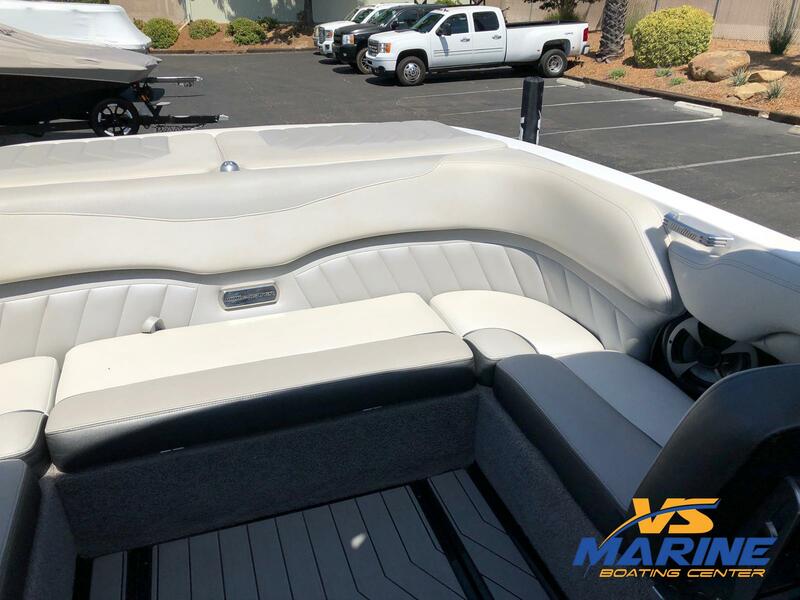 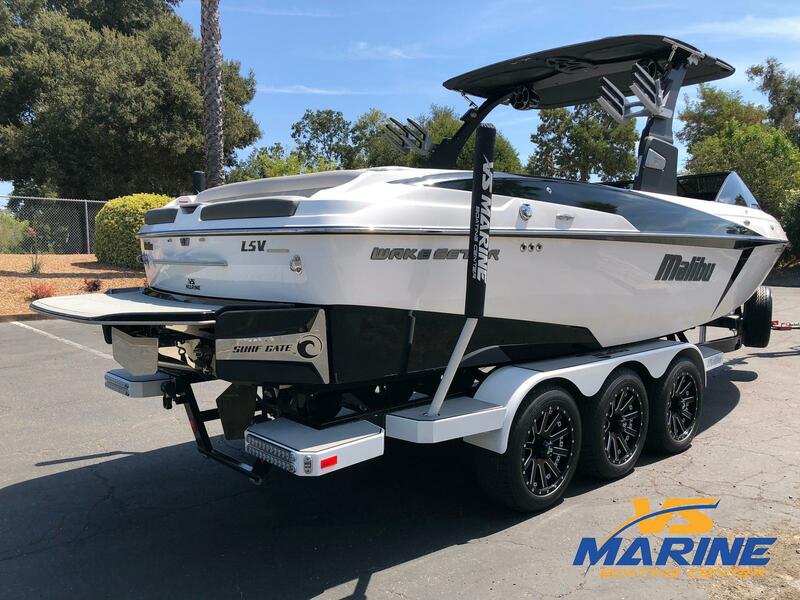 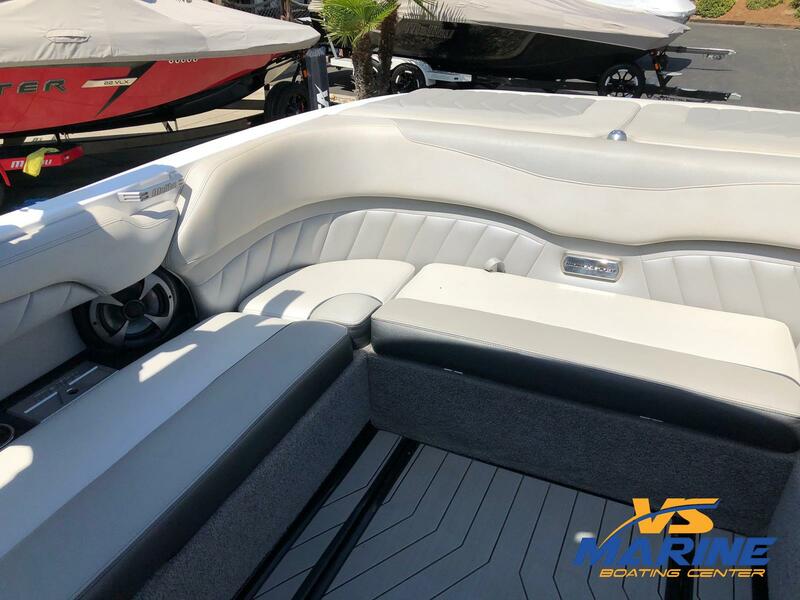 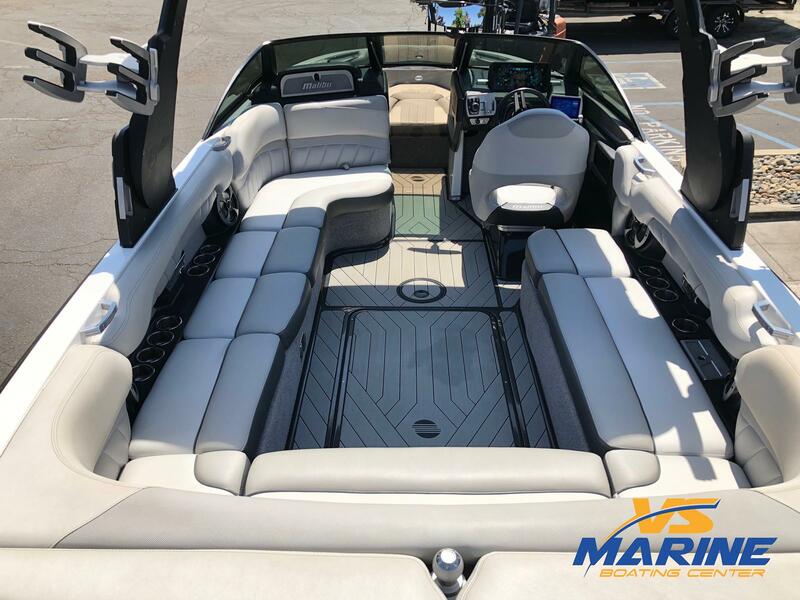 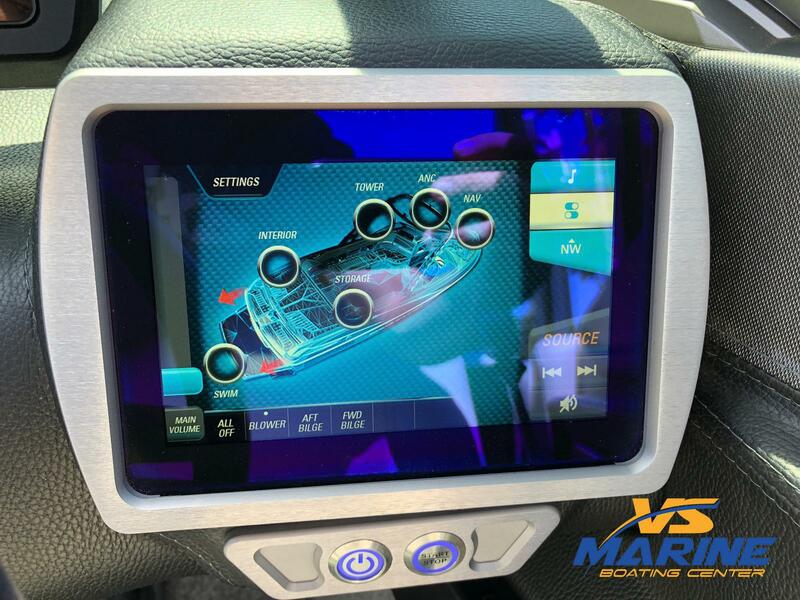 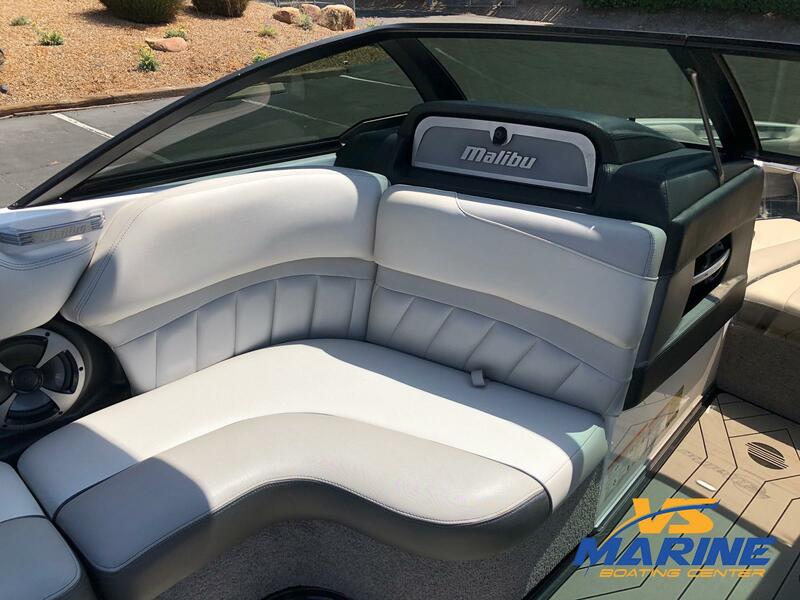 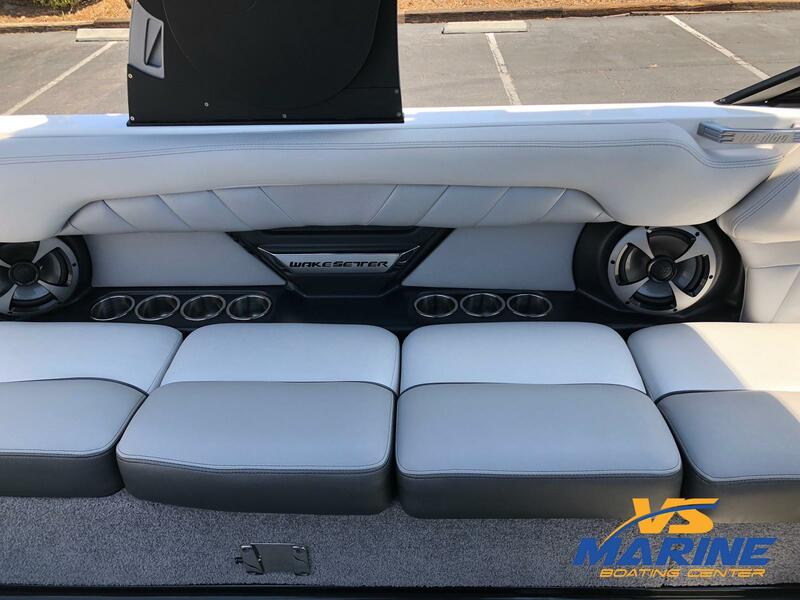 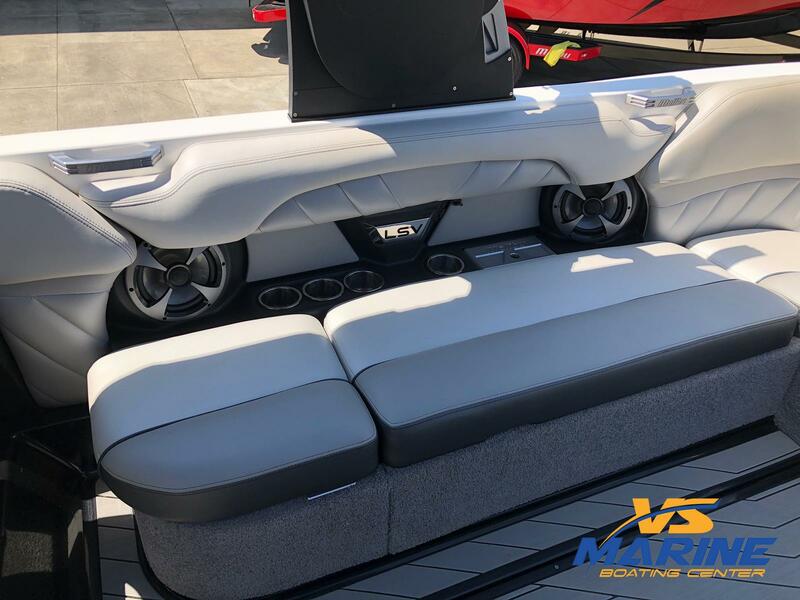 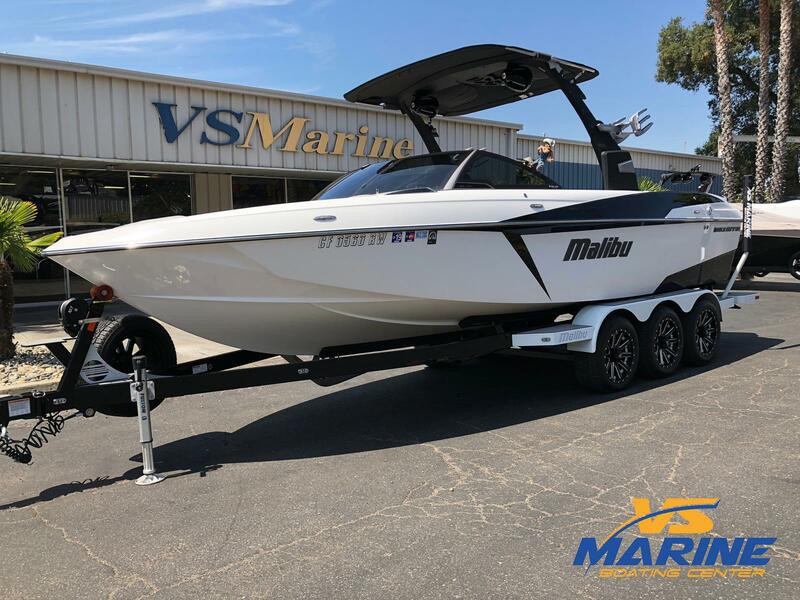 The Malibu Wakesetter 25 LSV is solidly built and has all the features of a modern luxury wakeboat. 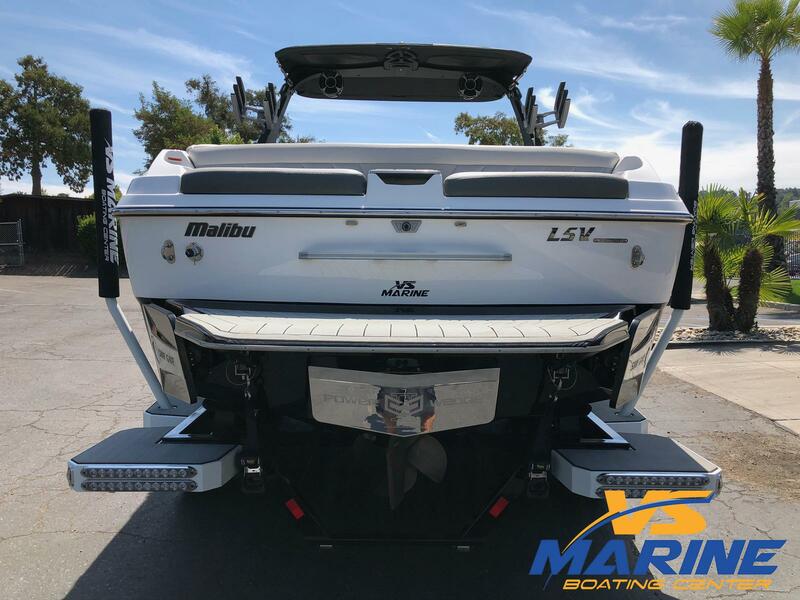 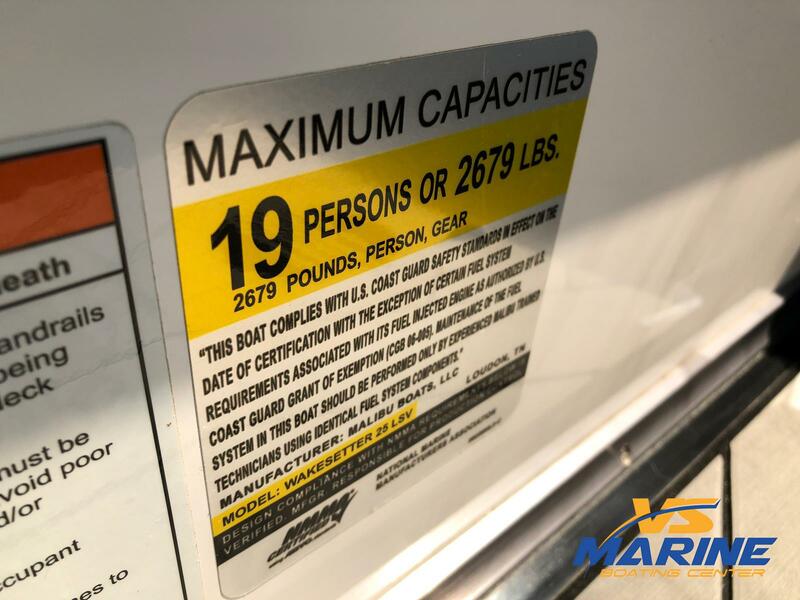 Seating for 19 people and huge ballast numbers mean the 25 LSV has meaty wakes, which is impossible to deny. 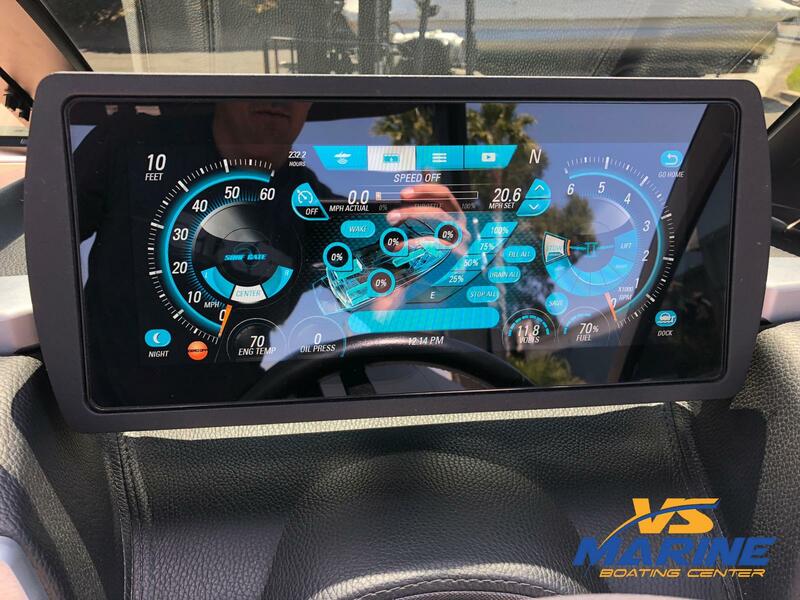 Surf whichever side you choose when you select with the Surf Band, a wearable remote control that handles not only the surf side but also the Power Wedge and the speed within a few miles per hour. 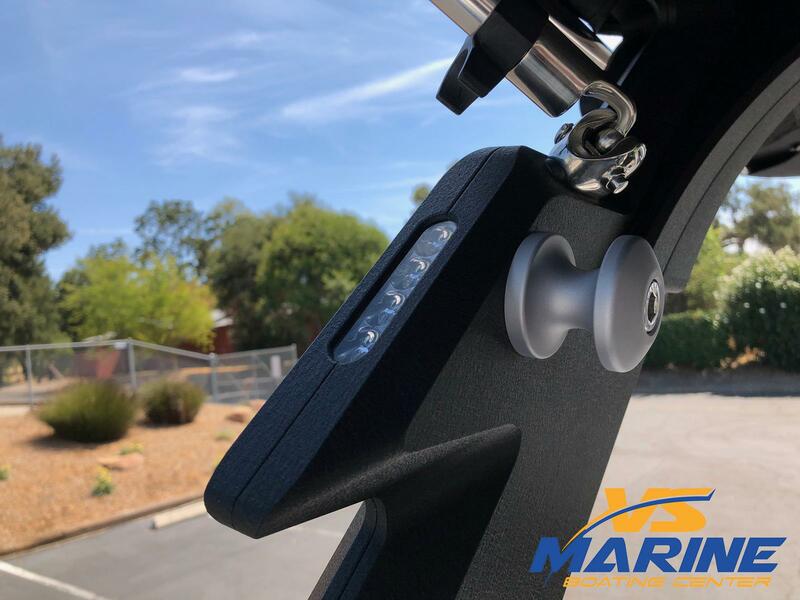 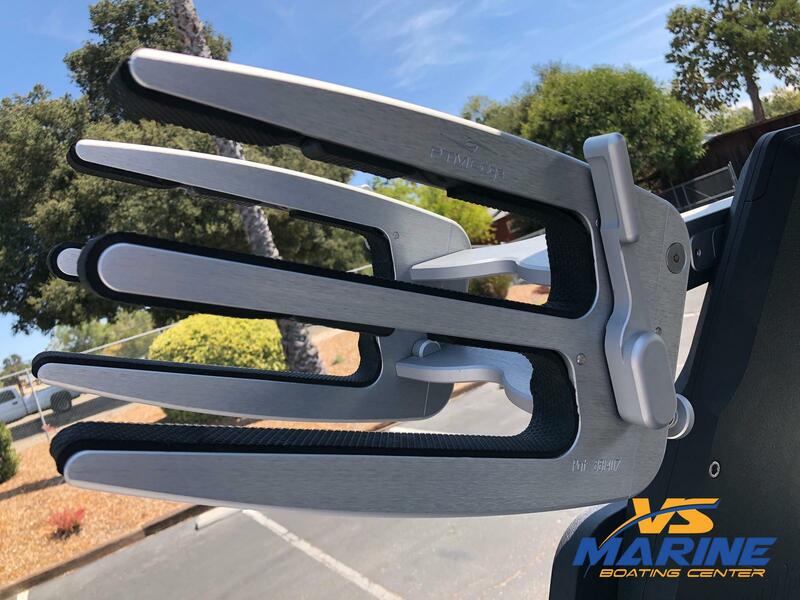 The Power Wedge is an important component because it can take the wake from a long and mellow ramp to a steep and tall kick, or anywhere in between. 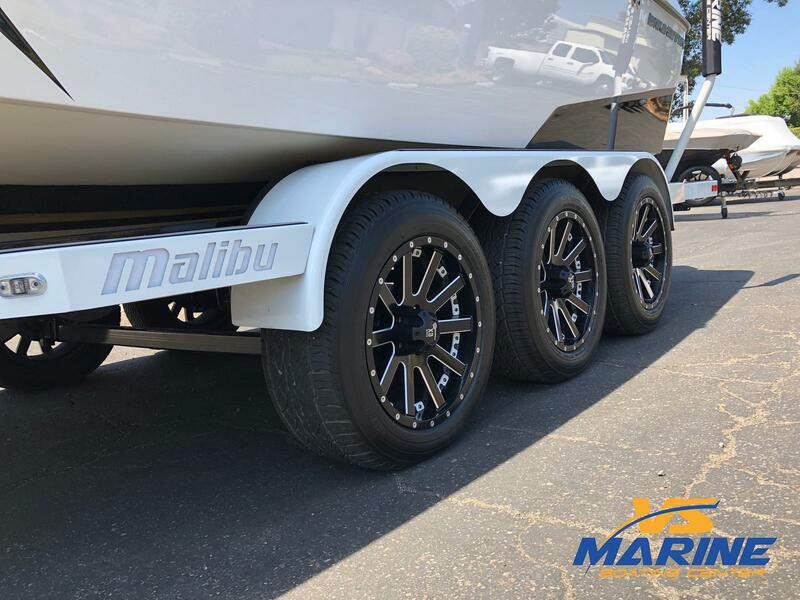 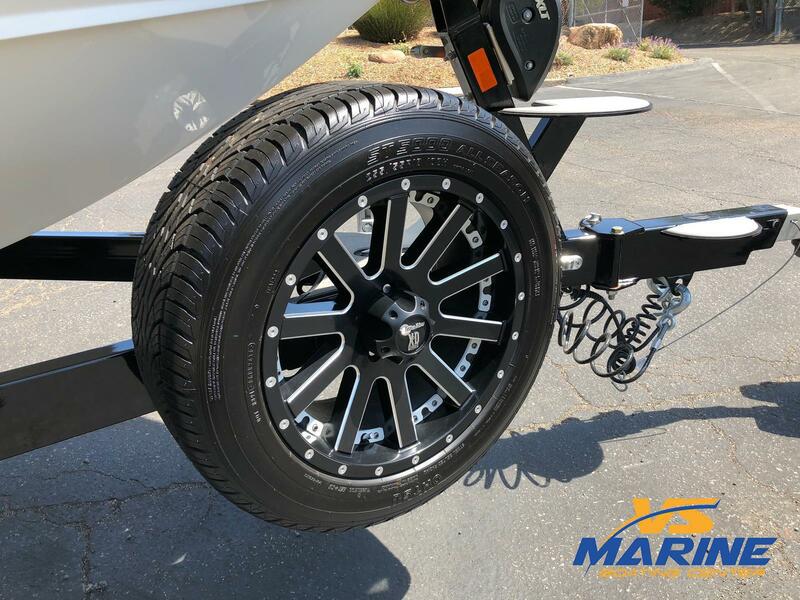 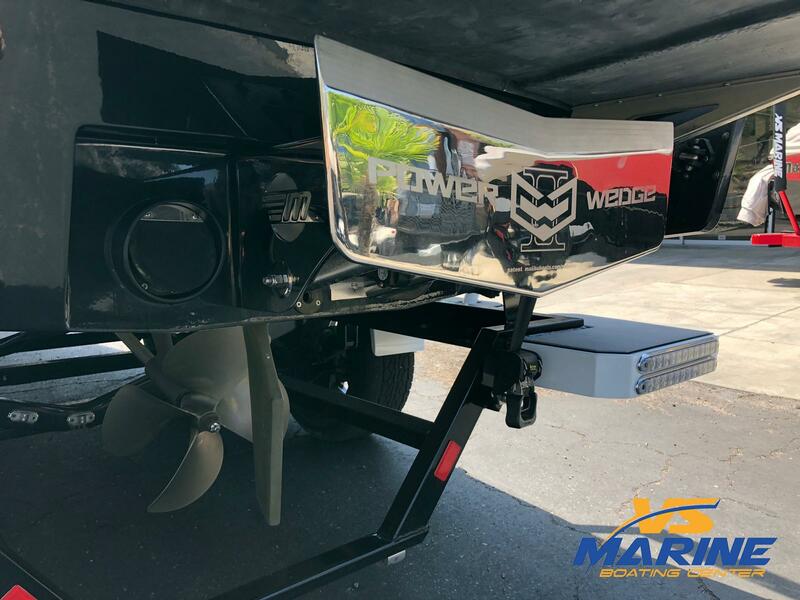 The Power Wedge also boosts the boat on takeoff to make for faster hole shots with far less bow rise than would otherwise be possible with this huge hull. 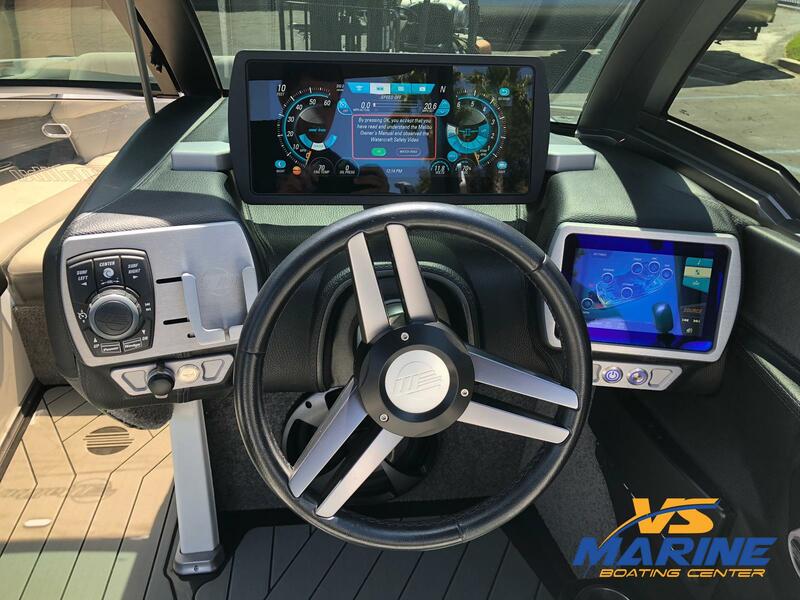 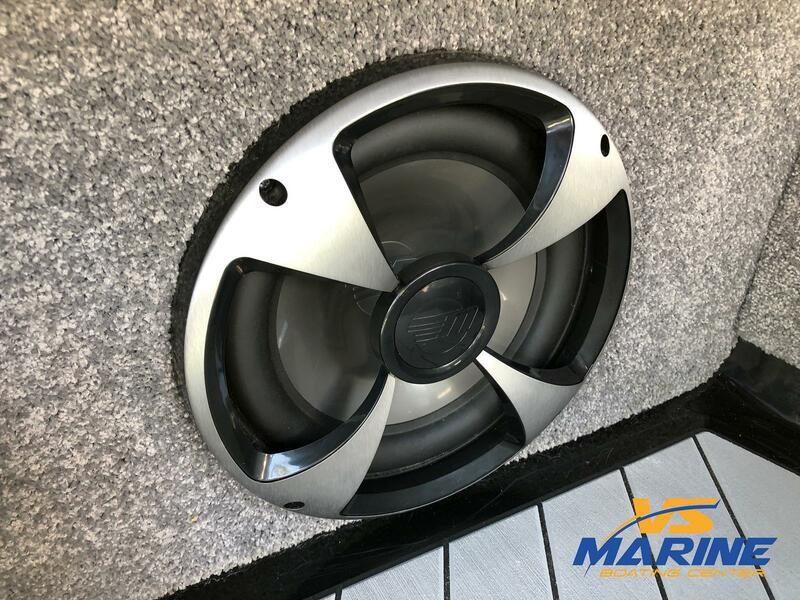 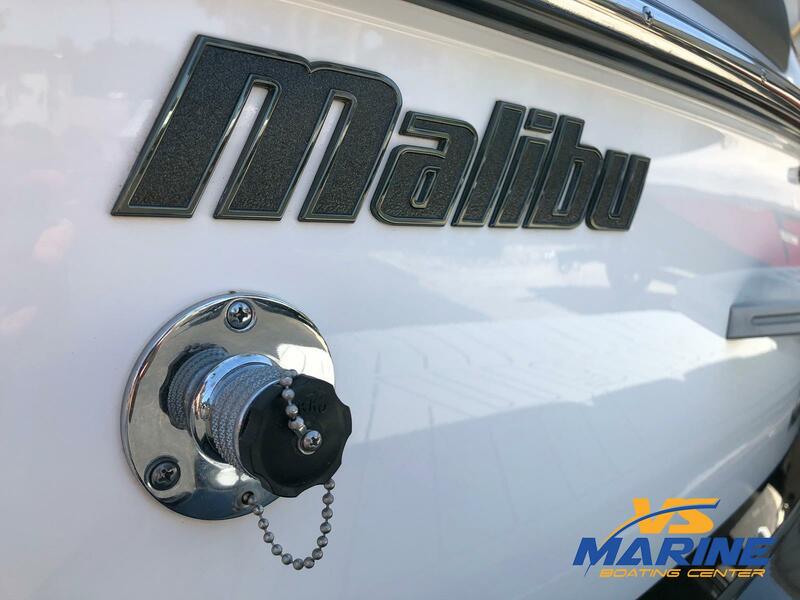 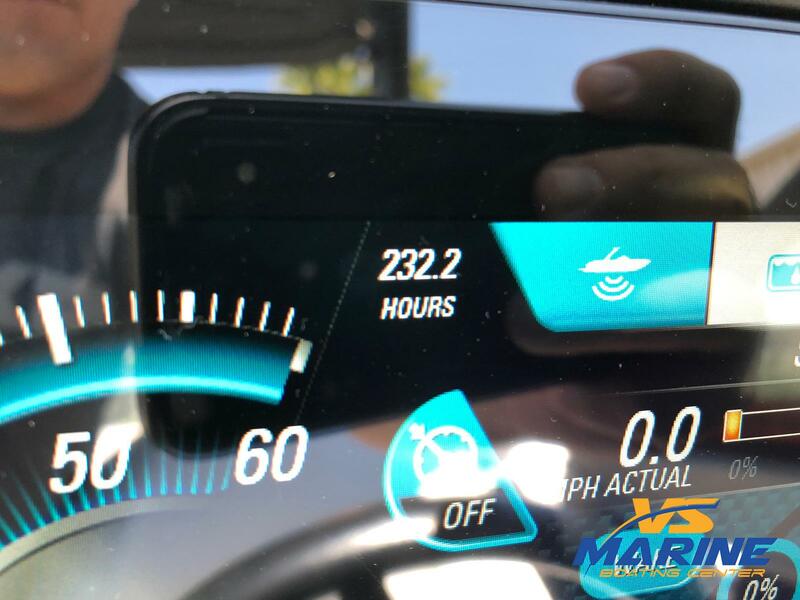 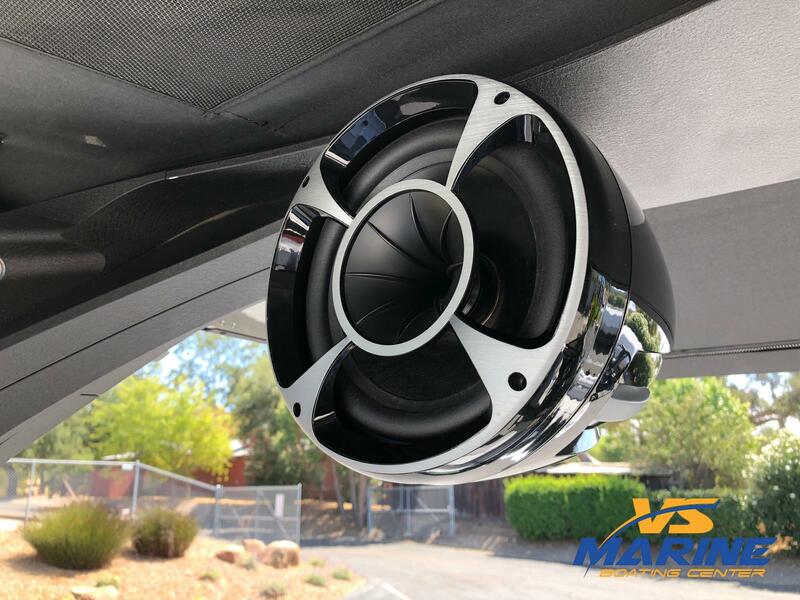 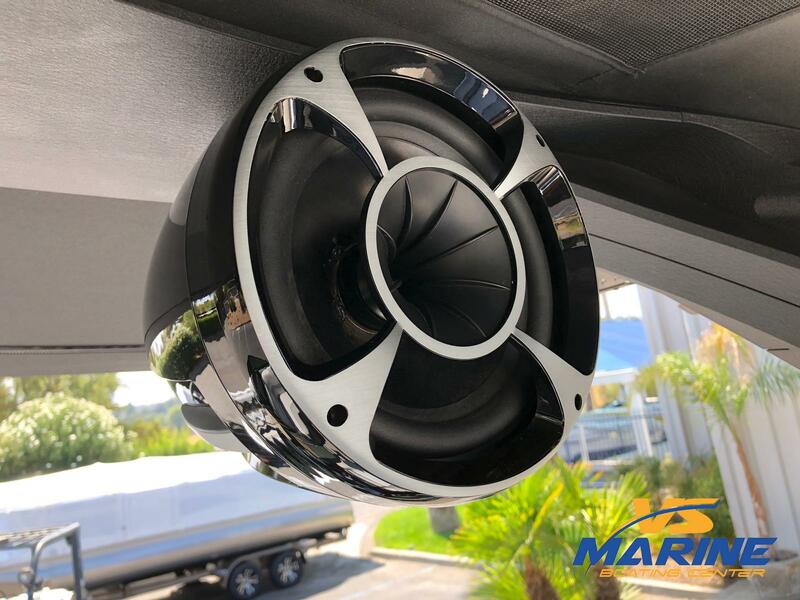 Control all this wake-shaping tech from your Surf Band or from the helm at the 12-inch center touchscreen and 7-inch auxiliary screen. 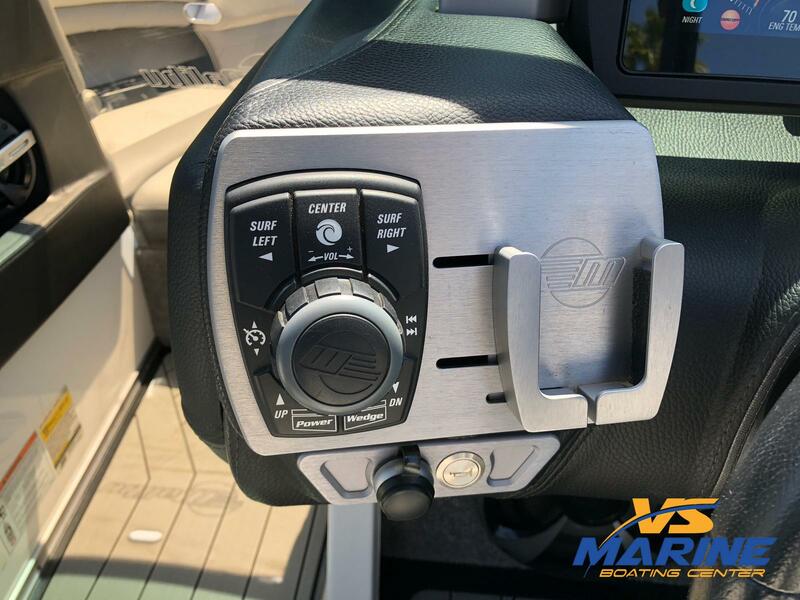 Or, if you’re feeling analog, take control with the rotary dial and hot keys. 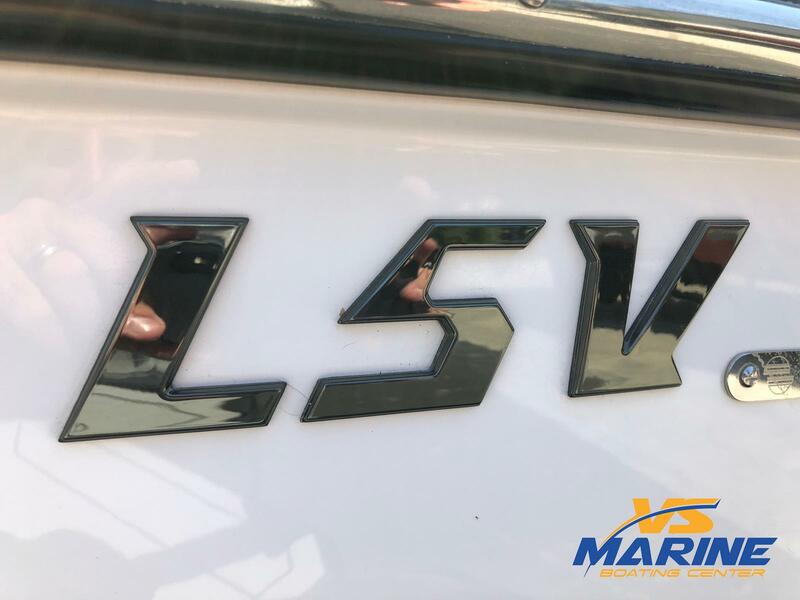 Tue-Sat: 8:00 a.m. - 5:00 p.m.